“Luxus Bridgekort” was specially designed by Barbara MacDonald in a vibrant Art Deco style for Warburg of Denmark in c.1930, and printed by the Universal Playing Card Co. Ltd (England). Danish indices. 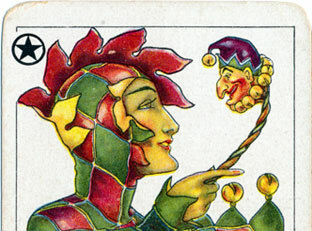 The deck has been reprinted by "Ediciones del Prado" (Madrid, Spain) as "Baraja de Fantasia". 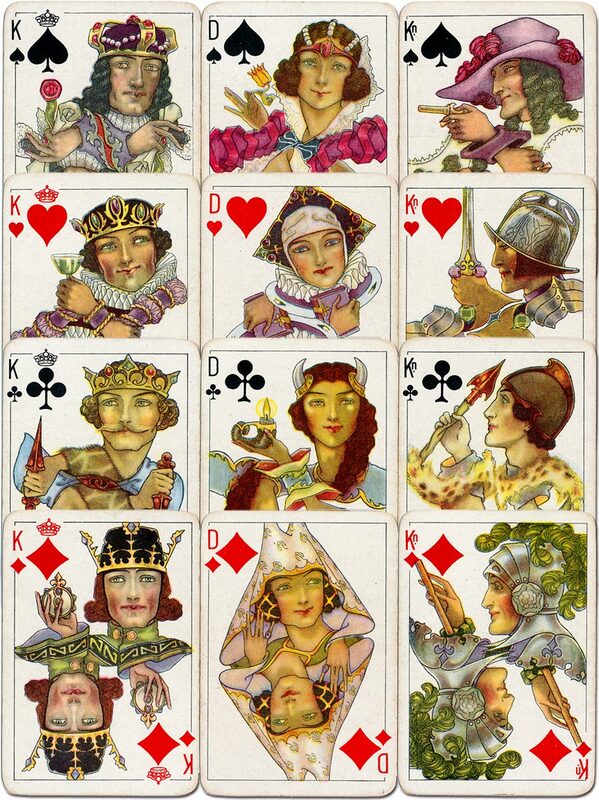 Above: “Warburg Luxus Bridgekort” designed by Barbara MacDonald and printed by Universal Playing Card Co. Ltd in c.1930. The back is a generic design used in other standard packs. Images courtesy Barney Townshend.